Neil Cornrich & NC Sports, LLC: Big Ten Football Q&A: Who's the B1G's Next Star Head Coach? Big Ten Football Q&A: Who's the B1G's Next Star Head Coach? Spring games in the Big Ten are nearing their end, with Wisconsin, Iowa, Michigan State and Rutgers rounding out the conference's slate of annual exhibitions this weekend. That means the dead period that is May and June on the college football calendar is upon us—except if this summer is anything like last summer, there won't be much quiet time in the Big Ten in the coming months. So before Jim Harbaugh sends off another tweet or Cardale Jones starts a feud with an NBA player at a Cleveland Cavaliers game, let's get to this week's Big Ten Q&A. This week, we'll tackle the rising coaching stars in the Big Ten, who stood out at Ohio State's spring game, Iowa's recent recruiting surge and which game in the Big Ten will have the biggest effect on the 2017 College Football Playoff. As always, you can tweet me your questions each week @BenAxelrod. 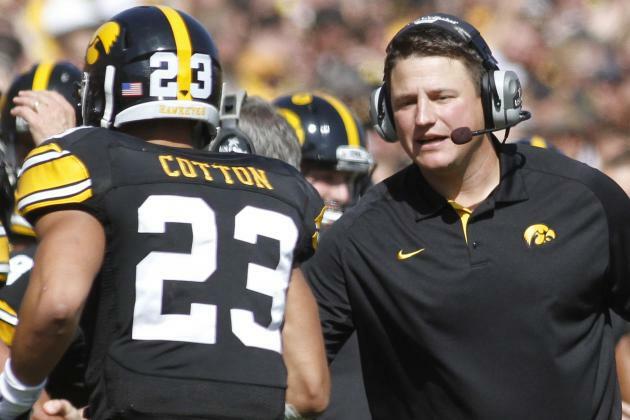 You may already know his last name, but make no mistake about it: Brian Ferentz's rise in the coaching ranks has little to do with nepotism. 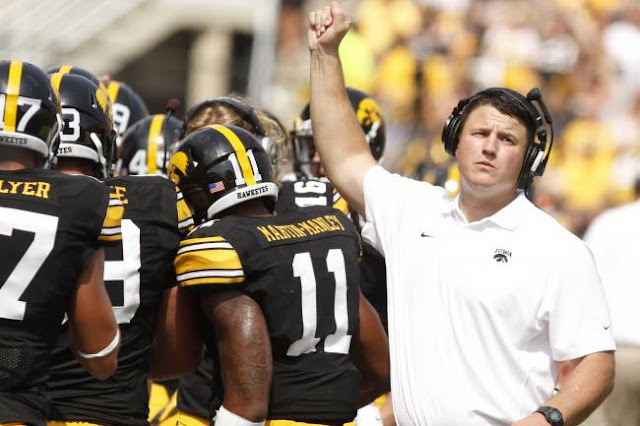 Iowa's 33-year-old offensive line coach and the son of Hawkeyes head coach Kirk Ferentz built quite the resume even before joining his father's staff in 2012. Prior to returning to Iowa City, where he played offensive line for Iowa from 2002-05 before a two-year stint in the NFL, the younger Ferentz served as an assistant on Bill Belichick's staff for four seasons in New England, coaching the Patriots tight ends in 2011. So while Kirk can lay claim to being the reigning National Coach of the Year, Brian can take at least partial credit for the development of Rob Gronkowski. In Ferentz's final season on Belichick's staff, Gronkowski became the first tight end to lead the NFL in touchdown catches, while the duo of Gronkowski and Aaron Hernandez set league records for receptions, yards and touchdowns at their position. Since reuniting with his father, Ferentz has furthered his resume as an offensive line coach, helping develop Brandon Scherff into the No. 5 overall pick of the 2015 NFL draft, Andrew Donnal into a fourth-round pick and both upcoming draft hopefuls Austin Blythe and Jordan Walsh into potential pros. Also the Hawkeyes running game coordinator, Ferentz oversaw a unit that ranked fifth in the Big Ten and 49th nationally in rushing (181.71 yards per game) in 2015. With Tom Herman, D.J. Durkin and Chris Ash having each recently taken head coaching jobs and Dave Aranda having left Wisconsin to become the defensive coordinator at LSU, Brian Ferentz is the new hot name in the Big Ten when it comes to up-and-coming assistants. Ohio State's Greg Schiano may seem destined to land another head coaching job after this season, but with youth on his side, Ferentz could be the best pick for a team looking to build long-term success. After all, it certainly won't hurt to be able to sell a relationship with Gronk on the recruiting trail.